"These federal lands ... hold a huge energy potential," said Interior Secretary Dirk Kempthorne. He said the geothermal areas that will be leased could provide 5,540 megawatts of electric generation capacity by 2015, enough to meet the power needs of 5.5 million homes. Tax breaks for geothermal energy that were passed by Congress this month will help support the use of the renewable energy source. 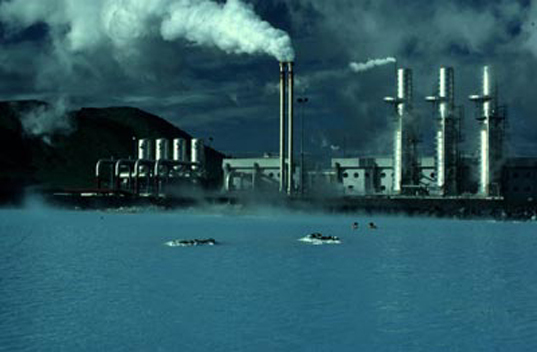 Geothermal energy comes from heat sources deep in the earth that generate electricity with few carbon emissions. Direct use of geothermal energy supplies heat for buildings, greenhouses, aquaculture and other activities. The United States is already the world leader in producing electricity from geothermal energy. Twenty-nine geothermal power plants currently operate on federal lands in California, Nevada and Utah, with a total generating capacity of 1,250 megawatts, enough to supply the needs of 1.2 million homes. Lands within the National Park System, such as Yellowstone National Park, would still be unavailable for leasing under the final geothermal plan. Half the geothermal leasing revenue and royalties would go to the state where the lease occurred and the relevant county would get 25 percent. The other 25 percent would go to a federal fund for investing in geothermal development. The department will publish details of its geothermal leasing plan in Friday's edition of the Federal Register of government regulations.